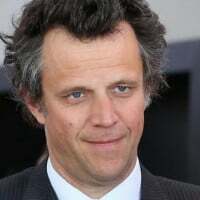 This is either an interesting strategic move by Interpublic-owned McCann to ape management consultants and lawyers by setting up a specialised practices or a way of shunting New York president Thom Gruhler as far away from the agency as possible. McCann New York has lost a stream of top executives (as well as accounts) recently including North America president Robert LePlae and New York boss Lori Senecal who joined Kirshenbaum Bond in acrimonious circumstances in April 2010. Elsewhere in the McCann empire strategy boss Lee Daley quit in the summer saying, basically, that the agency network was going to the dogs under McCann Worldgroup boss Nick Brien. Gruhler (pictured), who is being replaced in part by new North America boss Hank Summy who joined recently from SapientNitro, has been appointed global managing partner at McCann Worldgroup to oversee a telecom and technology practice the agency is establishing. According to Worldgroup boss Brien: “Thom has deep experience in telco and technology, and those are areas he’s passionate about that are high-growth and areas of complexity. In addition to Verizon, other accounts that fall under that sector include Intel, Sony, Hewlett Packard and Xbox. “It isn’t in the day-to-day of running those accounts, it’s going to be about developing a framework for category growth…and identifying best practices and new business opportunities.” Brien says the agency will be setting up practices in other areas like retail. PR companies have already latched on to the wheeze of forming ‘practices,’ somehow or other it makes rather run-of-the-mill activities sound more professional and therefore valuable. Gruhler has only been boss of New York since Senecal departed so it’s pretty clear that Brien is not not wholly satisfied with the performance of the agency, hardly surprising as it has recently lost Exxon, Nestle and $100m Applebee’s. Whoever takes over, and it may as well be new North America boss Summy, will need to build a relationship with chairman and CCO Linus Karlsson who joined from Mother New York. Karlsson has brought in a raft of new faces, mostly Swedish, and also the Ikea catalogue and website accounts.